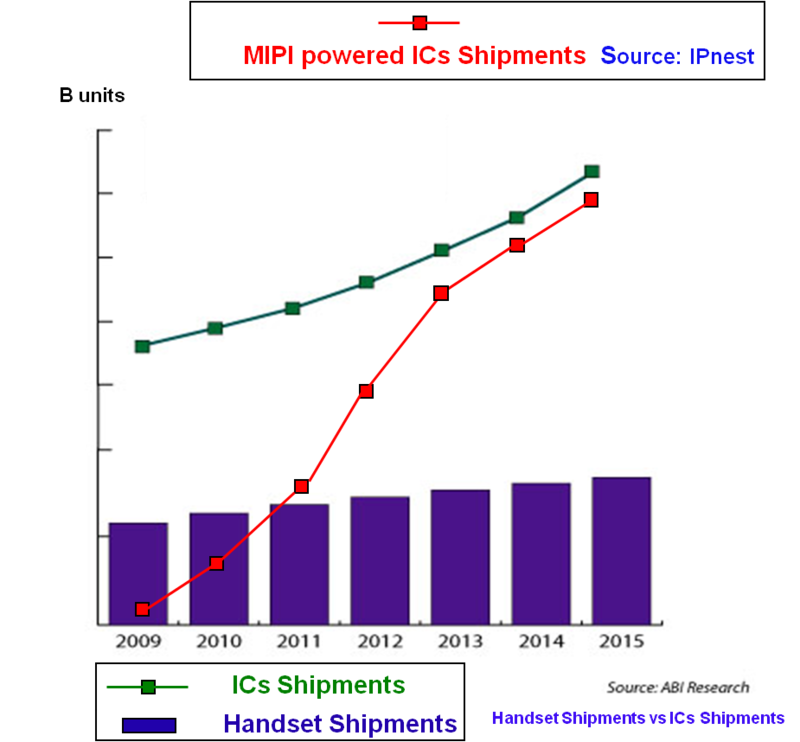 i-Micronews published recent Sony CIS business announcements and plans overview. The article presents a nice summary of all Sony news for the last 2-3 years. Sony posted an update on CCD analog front-end (AFE) Effio production recovery after the earthquake in March 2011. As of Sept. 9 the production of older generation Effio AFE CXD4813GG/CXD4816GG has not resumed yet, but expected to start "within September". The mass production of new generation Effio AFE, the CXD5148GG has started from August 26.
Business Wire: Samsung announced 1.2MP 1/8.2-inch CMOS image sensor SoC, the S5K8AA. The new sensor is based on 1.4um BSI pixels and aimed to camera modules shorter than 3mm for the slim mobile devices. The S5K8AA supports 30fps HD (720p) video and 60fps at VGA resolution. It fitts into a 5.5 x 5.5mm camera module with an extreme 2.8mm low profile. Samsung’s S5K8AA image sensor is currently sampling to qualified customers. Business Wire: Samsung also announced 1/2.3-inch 16MP image sensor, the S5K2P1, based on 1.34um BSI pixel and designed for high-performance, advanced smartphones as well as digital still cameras and camcorders. The S5K2P1 is fast - it supports a native 16:9 format video at up to 8.3MP resolution at 60 fps and full 16MP resolution for point-and-shoot images at 30 fps without shutter lag effect. According to TSR, the DSC market is expected to reach 154M units in 2012 where a substantial portion of up to 48.2 percent is forecast to be adoption of CMOS image sensors as the main sensor device. Samsung’s S5K2P1 image sensor is currently sampling to select customers. Its mass production is scheduled for November 2011. "Performance Evaluation of the PrimeSense IR Projected Pattern Depth Sensor"
This is the first systematic study of Primesense accuracy that I've seen in open sources. The depth resolution degrades with distance. It's 1.8mm at 0.5m, while at 3m it degrades to about 25mm. Note that Microsoft Kinect spec calls for 1.2m-3.5m range. TI introduced the DRV201 - industry's first auto focus voice coil driver with both pulse width modulation (PWM) and linear current regulation support. The 0.15mm-slim packaged chip features advanced ringing compensation resulting in fast lens settling time for faster focus – 10-mS settling time compared to 150 mS without ringing compensation. MIPI CSI-3: Providing an advanced processor-to-camera sensor interface. MIPI Low Latency Interface (LLI): This interface cuts mobile device production cost by allowing DRAM memory sharing between multiple chips. Marketwire: While we are at MIPI, Tektronix announced M-PHY testing solution based on the newly-ratified M-PHY v1.0 specification. Building on the industry's first M-PHY test offering introduced last September, Tektronix now offers mobile device hardware engineers a simple, integrated solution for M-PHY Transmitter and Receiver debug, validation and conformance testing needs. Developed in close cooperation with Synopsys and ST-Ericsson, the Tektronix "2-box" solution provides scope-integrated error detection for receiver tolerance testing and re-usability with a single set-up for both the M-PHY and lower-speed D-PHY(SM) specifications. Toronto, Canada-based ISee3D announced the next step in its single-lens 3D imaging technology that cuts its 3D lens down to size and increases frame rates, for the first time making practical a range of applications and bringing 3D to more markets, such as consumer, automotive, industrial, and medical devices. The advanced new technology dramatically reduces the thickness of the elements to fractions of a millimeter, making it possible to use the technology with a wider variety of lenses and reducing the space required. Now ISee3D technology fits for equipping webcams, microscopes, endoscopes, 4 and 5K cameras and consumer camcorders with 3D capabilities. In the field of endoscopy, the ability to capture 3D images through a smaller device enables less invasive surgeries, and a new ISee3D innovation in this field allows a 3D endoscope to produce as much or more light as a 2D device of the same size. NikkoIA is selected among the “20 Top Start-ups” by the french national magazine l’Usine Nouvelle in its “Special Innovation” edition, following the results of the 2011 National Contest for the Creation of Innovative Companies organized by the French Ministry of Research in cooperation with OSEO. Digitimes reports that Newmax has dropped its Kinect camera module shipments in the second half of the year, according to the newspaper sources. Weak US and European economy is said to be the reason. With market demand for Kinect weaker than expected, Newmax's revenues in August dropped by 14.29%. fast focusing allowing taking succession of pictures with different focus in few tens of ms.
low power. VCM requires in the range of 150 to 200 mW of power to focus, while TLens requires 5 mW. Oppenheimer Equity Research believes that Apple is going to dual source 8MP image sensor for next generation iPhone from Omnivision and Sony. Oppenheimer estimates that Sony share would be 30% at max. The iPhone VGA front-looking camera business is said to belong to Omnivision. Ambarella announced availability of the A7L SoC for HD video enabled DSCs. The A7L supports full 1080p HD H.264 video at 60fps and can capture up to thirty 16MP still images per second. A7L features multi-frame high ISO image capture, HDR processing, lens distortion correction, hardware support for real-time panorama sweep photography, and 3D Motion Compensated Temporal Filtering (MCTF). The A7L is fabricated in 32nm process, and requires only a single 16-bit DDR3 DRAM. "The Digital Still Camera market is forecasted to grow to over 150 million units in 2012, as new models offer both high still image quality and full HD video,” said Chris Chute, Research Manager, Worldwide Digital Imaging Solutions and Services of IDC. Imaging Resource published an interview with Masahiro Suzuki, General Manager R&D, Nikon Imaging devoted to the announcement of the new interchangeable lens Nikon 1 camera system. A significant part of this interview is devoted to its 1-inch 10.1MP image sensor based on 3.4um pixels. The sensor has 24 digital outputs, while it's not clear what is the full resolution frame rate. On the 10MP resolution in relatively high-end product: "Our message will be that image resolution is not everything. We offer you additional value. The image quality from 10 megapixel sensor is excellent, good enough for the kind of use that consumers make of their pictures, even for quite big enlargements." "We [Nikon] developed it; we engineered and developed this sensor inside Nikon. But for the production side, that is done by our partner." "The major difference from the others is that this camera's image sensor has embedded phase detection AF, so that achieves very fast focusing." Imaging Resource clarifies: "Nikon V1 and J1 both have a hybrid autofocus system that combines both phase-detection and contrast-detection modes. The operating mode is chosen automatically as appropriate to the shooting conditions, and a generous array of 73 phase detection AF points are available. Since there's no way to hook a separate autofocus sensor into the optical path in a mirrorless camera, Nikon has adopted a similar strategy to that used by Fujifilm in certain of its compact camera models last year. The phase detection autofocus points are placed on the image sensor itself, although it isn't currently clear how the focus points are spaced with regards to the surrounding photodiodes." where LS and SS are samplings of the signals LPS and SPS, GA is a coefficient that may be equal to 1, and R=TL/TS is the ratio between the long integration TL and short integration TS times. Albert Theuwissen published a new post in the "How to Measure..." series. The post is devoted to Dark Signal Non Uniformity (DSNU) measurements. I really enjoyed the clear and detailed explanations of the measurement procedures and possible caveats. I think once the new series would be completed, it certainly worth to publish in a handbook form. "DLL Based Single Slope ADC For CMOS Image Sensor Column Readout"
As AT mentioned in the other post comments, the program of Electronic Imaging 2012 conference has already been published. As always, there is a lot of image sensor stuff there, too much to publish it in full. IEDM 2011 promises to be quite rich on image sensor content. Session 8 program includes 7 image sensors presentation vs the last year's five. All the leaders - Sony, TSMC, Omnivision, Panasonic, Samsung, and others, are there and presenting. 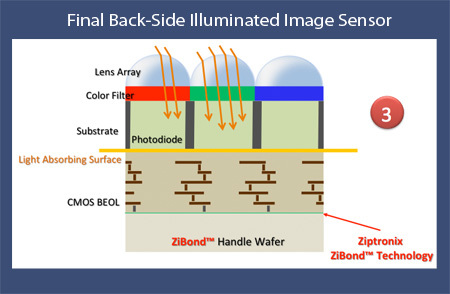 We have developed the flat device structure with no isolation grooves / ridges and no Si substrate etching in the imaging area of the CMOS Image Sensor. We successfully fabricated a high quality 1.12um pixel pitch CIS, achieving both high Qs under low dark current and low random noise. In order to reap the full advantages of BSI structures, it is very crucial to well control BSI process, particularly for small pixel size (<0.9um). In addition, as pixel transistors shrink with pixel scaling, an undesirable RTS could dominate noise and degrade CMOS sensor quality, which can be improved by BSI process. In this paper, we exhibit the progress of 300mm BSI process and a methodology to reduce RTS noise. Finally, a high quality 0.9um BSI pixel is demonstrated. The characteristics of Dark Current Random Telegraph Signal (DC-RTS) in pinned photodiode are investigated thanks to a dedicated analysis tool. Our results demonstrate, for the first time in pinned photodiode CIS, that this DC-RTS is due to meta-stable oxide interface SRH generation centers located in the transfer gate depletion region. A family of CMOS compatible Ge-on-Si APDs operating both in Geiger and proportional mode is proposed. The APDs exhibit the lowest reported dark current and amongst the smallest geometries. Low defect density n-Ge is grown on Si using a special CVD technique and a nm-thin Ga+B layer deposited for ultrashallow p+doping. The APDs have a good sensitivity in near infrared wavelengths and moderate DCR. Previously demonstrated Angle Sensitive Pixels (ASPs) for integrated digital light-field imaging suffer from poor pixel quantum efficiency and large sensor size. This work demonstrates an ASP device that uses phase gratings and a pair of interleaved diodes to double pixel density and improve quantum efficiency by a factor of 4. A single-tap concentric photogate pixel of 28 um pitch is developed for application in ToF-3D image sensor. Image sensor formed with the 198X108 pixel array exhibits demodulation contrast higher than 50% and distance error less than 1%, over 1 to 7 m range, with 20MHz modulation of 850 nm LED. Kunshan, China-based company Brigates (Rui Xin in Chinese) published datasheet of what appears to be the world's smallest pixel sensor having global shutter, the BG0316. The 3.2um pixel VGA sensor has 120fps speed and offers 40dB SNR and 65dB DR.
"Sharp Microelectronics Co., Ltd. Kunshan core returned by the three PhD students in February 2008, Overseas Students Pioneer Park, Kunshan Development Zone set up. 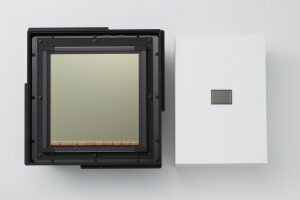 In just three years history, nine have been successfully developed CMOS image sensor chip, including the world's first high-speed infrared three-dimensional image sensor chip; China's first five-pixel image sensor chip high-speed parallel; the first 2008 models with 130-nanometer manufacturing process designed image sensor chip. 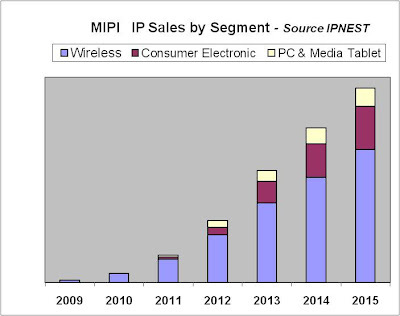 As of the end of 2010, has been successfully industrialized 5 chip, the cumulative sales of more than 10 million pieces, CMOS image sensors in consumer chip market to establish a place to develop a stable customer base. Kunshan sharp core of the nation's largest online supplier of sporting goods online i-Dong Taishan somatosensory ordered a man-machine interactive gaming chips in 2010, the product has been assigned to the National Olympic Park and the Shanghai World Expo Park, the major domestic and international media including Reuters Agency, CCTV 1 set, 2 sets of this program are a wide range of product coverage and improved business visibility and market reputation. 2011, recently introduced a new generation of consumer image sensor chip on a global scale the highest price. The company has applied for 44 patents (14 authorized), five utility model patents (authorized 4), 12 integrated circuit layout protection, and two software copyrights." The idea is quite simple and straightforward and can be effective, to a degree. However, I did not see it patented anywhere. As an improvement of it I would couple FD directly to VDD too, in addition to TG. Via Eric Esteve's post in LinkedIn group. 6,023,081: “Semiconductor image sensor” by Drowley et. al. and assigned to Motorola, Inc. Filed 11/14/1997 & Granted 2/8/2000. 6,221,686: “Method of making a semiconductor image sensor” by Drowley et. al. and assigned to Motorola, Inc.. Filed 1/28/2000 & Granted 4/24/2001. 6,979,587: “Image sensor and method for fabricating the same” by Lee and assigned to Hynix Semiconductor Inc. Filed 12/30/2002 &	Granted 12/27/2005. 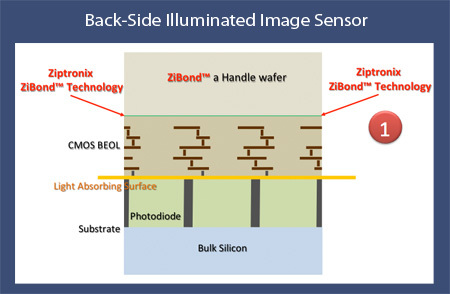 5,844,264: “Charge-coupled device image sensor”	by Shinji and assigned to LG Semicon Co., Ltd. Filed 9/19/1995 & Granted 12/1/1998. IV founder and CEO Nathan Myhrvold used to be Microsoft's CTO and chief strategist. In the lawsuit docs IV says it has purchased more that 35,000 intellectual assets and paid more than $400M to individual inventors. IV, in its turn, has earned more than $2B by licensing these patents to other companies. IV also claims to develop its own inventions, has a staff of scientists and engineers and collaborates with research institutions around the world. An opposite view on IV and its business is presented in This American Life podcast. "NPR reporter Laura Sydell and This American Life producer/Planet Money co-host Alex Blumberg tell the story of Intellectual Ventures, which is accused of being the largest of the patent trolls. The investigation takes them to a small town in Texas, where they find a hallway full of empty companies with no employees." 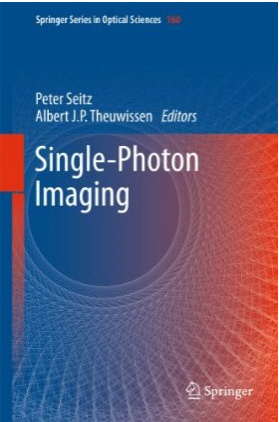 Another book "Photodiodes - Communications, Bio-Sensings, Measurements and High-Energy Physics", edited by Jin-Wei Shi, mostly talks about applications and has few chapters on imaging too. Canon announced that a large high-sensitivity CMOS sensor developed by the company last year has enabled the 60fps video recording across a wide 3.3deg x 3.3deg field of view of meteors with an equivalent apparent magnitude of 10 (The brighter the celestial body appears, the lower the value of its apparent magnitude. The darkest star visible to the naked eye has an apparent magnitude of approximately 6). The sensor's chip size measuring 202 x 205 mm is said to be the world's largest surface area for a CMOS sensor and among the largest that can be produced from 300-mm wafer. The device is approximately 40 times the size of Canon's 35mm commercial CMOS sensor and makes possible video recording in dark conditions with as little as 0.3 lux of illumination. 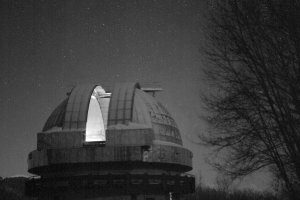 In January this year, the CMOS sensor was installed on the focal plane of 105 cm Schmidt telescope at the University of Tokyo's Kiso Observatory, Institute of Astronomy, School of Science (Kiso-gun, Nagano prefecture). e-Vision is seeking for companies interested in evaluating its new liquid crystal-based auto-focus technology. The company has published in Linked-In groups that it's seeking a suitable partner who would be interested in cooperating on a Joint Development project together to produce a final production-ready auto-focus lens design within 6 months, and would be based on reasonable engineering milestone payments. An Auto-Focus demo.already currently exists. In addition, the basic technology can also be applied to many other areas including Zoom, Image Stablization, Beam Steering, etc. as next generation products. PMD Technologies announced that as part of a its CamCube Bundle purchase, users are entitled to a complimentary copy of the Omek Beckon Development Suite, especially optimized for the CamCube 3.0. The bundle enables developers to incorporate applications and solutions with gesture-based interfaces across a wide variety of target platforms, including interactive digital signage, multimedia, robotics, security & surveillance, medical devices and more. 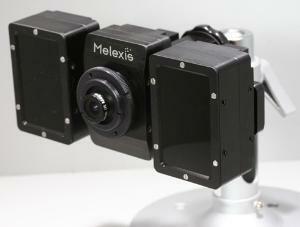 The CamCube 3.0 is said to be the highest resolution all-solid-state 3D TOF camera available. The PMD technology has been used in mass production since 2005. The high sensitivity and improved pixel performance of the new PhotonICs PMD 41k-S2 lead to precise depth accuracy even at high distances and high 3D frame rates. "ROCHESTER, N.Y., September 13, 2011 – Eastman Kodak Company (NYSE:EK) has expanded the sales and support options available to customers of its image sensor products by providing additional in-country, in-language support in key markets around the globe. Kodak’s existing sales and application support team for image sensors has been enhanced with a network of distribution partners and representatives authorized to work directly with customers on the evaluation, purchase, and integration of KODAK Image Sensor products. Each of these partners has received training on Kodak’s full image sensor portfolio, and can work directly with camera manufacturers to help identify and source the most appropriate device for their application." Regulus Technologies Co., Ltd. (www.regulus.com.tw) in China, Hong Kong, Singapore, Malaysia, Philippines, Taiwan, Thailand, and Indonesia. The range of services offered by these partners vary from region to region and are designed to enhance the existing Kodak support present in each local market. Many of these distribution partners, for example, maintain a local inventory of KODAK Image Sensor products to reduce local lead times and allow camera manufacturers to purchase devices using local currency. Technical support options range from assistance with sensor selection and evaluation through full camera design services and support. And many of these partners provide “one stop shopping” for a number of different camera components (including lenses specifically matched for use with Kodak sensors), simplifying the development of a full camera system." "I just wanted to point out what may be a misunderstanding in the blog posting entitled “Micron and Others to Sell and Support Kodak Sensors on Local Markets” from today. The Micron listed in the blog is not in fact the same Micron from which Aptina was spawned. If one clicks the link you posted for Micron, Inc. in the blog this becomes clear. Apparently they are a distributor with a similar name. I thought this may be confusing and wanted to clarify with you. I suspect that this PR would be a more newsworthy if it was in fact the Micron we know and love that had betrayed us and started distributing Kodak sensors! Just want to make sure no one gets the wrong impression." Meanwhile, the full text of Kodak PR has been published by Electronic Products. Melexis introduces its range-sensing technology licensed from SoftKinetic and optimized for automotive collision avoidance system. The solution will be demonstrated at the International Motor Show on Sept. 15-25, 2011 in Frankfurt, Germany. The ToF technology adaptation and development have been the result of a previously announced close cooperation between SoftKinetic-Optrima and Melexis. The cost-effective and robust solution detects and avoids collisions with obstacles around the vehicle. The ToF sensor is made by SoftKinetic and uses DepthSense technology described as a Current Assisted Photonic Demodulator (CAPD). The principal advantage of DepthSense compared to other range sensor technologies is said to be the combination of high sensitivity and low noise. Albert Theuwissen published a review of Swiss Image and Vision Sensors Workshop, held on Sept 8, 2011 in ETH, Zurich, Switzerland. 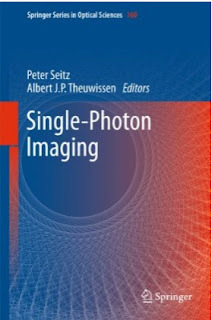 Albert's conclusion: the workshop was a good overview of the imaging state-of-the-art in Switzerland, no groundbreaking technologies or ideas were disclosed, good atmosphere! Update: As Christian Lotto wrote in comments, the workshop's presentations are available on-line. New Imaging Technologies starts sampling its NSC1101, the HDR Read Out IC (ROIC). The NSC1101 is designed to interface with photodiode array through flip chip bonding. NSC1101 is of VGA format (640x512 pixels), it has a pitch of 15um and can accept any PDA with p-on-n or n-on-p. Due to its Native Wide Dynamic Range of more than 120 dB the sensor does not require any setting or exposure time control. NSC1101 can be used with all infrared sensing materials such as InSb, InGaAs or HgCdTe and can operate at cryogenic temperature of 80K. Other photo sensing materials such as AsGa for THz or XRay detection have been already sucessfully used. NSC1101 is a sampling stage and can be ordered from NIT in a 8" wafer form. Sony F65 camera brochure (or web version of it) mainly talks about its sensor innovations: "The F65 exceeds the resolution of any previous digital motion picture camera (as of August 2011), the result of a remarkable Sony Super 35 image sensor". Sony states: "Through all the decades, our design goal has always been to match the photographic quality of 35mm film. But now we’re setting our sights even higher: to surpass the limits of human vision. The F65 image sensor is the first of this new breed". And the last: "the F65 provides over- and undercranking at frame rates of 1 to 60 frames per second (4Kx2K resolution), and up to 120 frames per second (4Kx1K resolution)". poLight has entered a partnership agreement with SVTC Technologies on optimized production process in order to meet large volume customer demand. Access to SVTC’s 95,000 square feet of IP-secure, 24/7 cleanroom and multi-disciplined engineering team will enable poLight to accelerate the commercialization of its next generation TLens technology. SVTC’s Technology Development Process and commercialization expertise will enable poLight to demonstrate a production ready process and successfully transfer to a larger volume MEMS manufacturer. 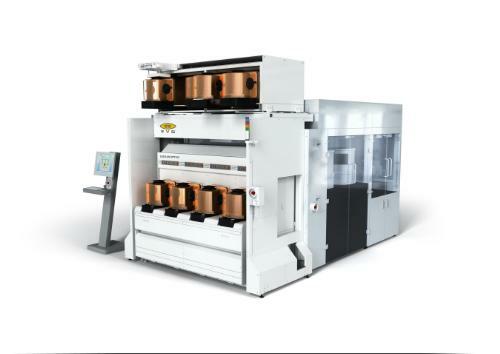 PR Newswire: EV Group (EVG) announced that it is launching a new flagship model in its field-proven GEMINI FB fusion wafer bonding family that increases system throughput to up to 20 wafers per hour (up to 14 wafers per hour as stated on EVG site). The upgrade includes enhanced automation capabilities to enable customers to achieve higher levels of manufacturing efficiency for such applications as BSI image sensors and 3D integration of CMOS image sensors. EVG's GEMINI FB system is designed for integrated and automated wafer loading, alignment, bonding and unloading of bonded wafers up to 300 mm in diameter. "We continually focus on innovating our product lines with enhancements such as this latest extension to our flagship GEMINI FB platform—the industry's first field-proven 300-mm fusion wafer bonding system readily available," says Paul Lindner, executive technology director for EVG. The company reports that it has already received orders from major integrated device manufacturers for the upgraded platform, with deliveries slated for the end of this calendar year. ElectoIQ: Phil Garrou posted a short review of Sony licensing Ziptronix wafer bonding technology together with the history of Ziptronix' lawsuits. Update Jan 17, 2012: Another Ziptronix video has been posted emphasizing Sony design win in iPhone 4S. Springer allows to read the book on-line (with some limitations, I guess). Samsung patent application US20110205410 proposes to etch holes in dielectric above each photodiode and place color filters inside the holes to reduce optical stack height. "The interlayer insulating layers defines an opening located on an upper portion of the photoelectric conversion device. A color filter is disposed in the opening, and a planarization layer fills the opening on the color filter. The planarization layer has a refractive index which is greater than an average refractive index of the interlayer insulating layers:"
Samsung application claims priority from Feb. 19, 2010. Given Chipworks found ST sensor in the product on the market already, I'd guess ST work has started well before Samsung's filing date. No Sony comment is quoted in the PR. Update: EETimes publishes an article on Ziptronix licensing deals. 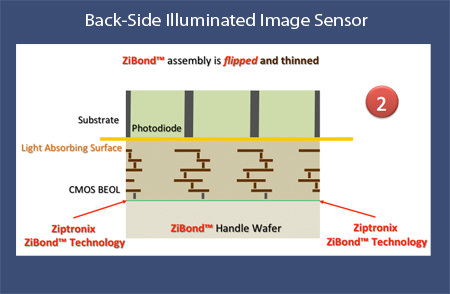 The proprietary ZiBond process was a breakthrough in that using a very thin layer of dielectric facilitated direct bonding of multiple materials in previously impossible combinations, according to Ziptronix. Ziptronix has received approximately $45 million in investments from three sources: Intersouth, Grotech; and RTI International, a independent-nonprofit R&D organization.